A 4:1 Current Balun (Guanella) for use with OCFD, Loops and other situations where your aerial is around 200ohms. Do not be fooled by cheap (and poor design) single-core versions - only a twin-core will work as an effective Current Balun. This means that you won't need any further choking (loops of coax, ferrite rings etc). This "QRP" version is ideal for use "in the air" or for /P operating - it offers easy connection with eye-bolts for support and strain-relief. Can also be used to replace the (often flimsy) balun found in most tuners. 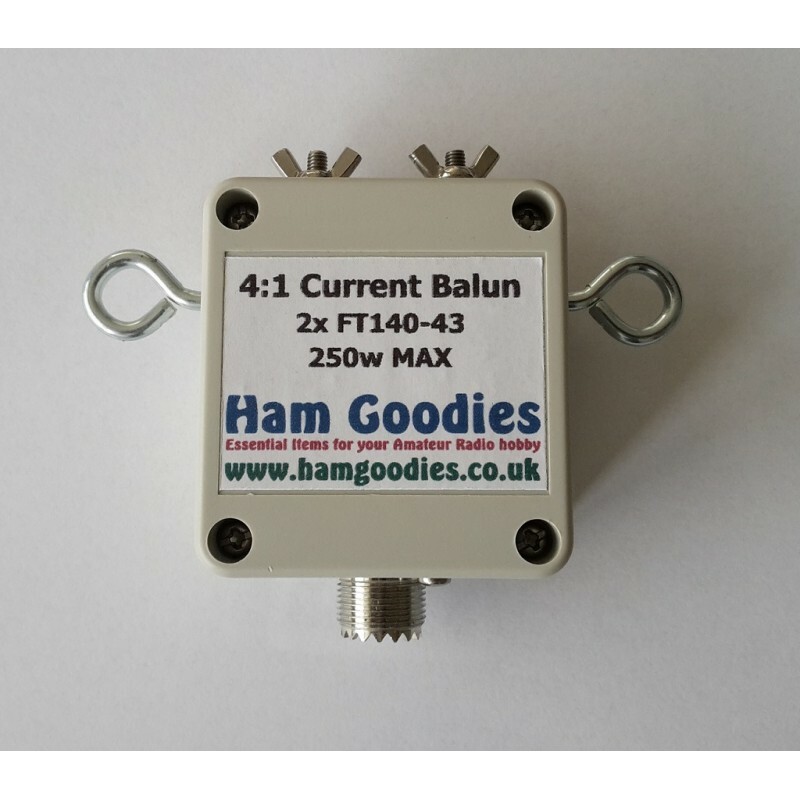 If you're using a Doublet or G5RV, a balun with a 1:1: ratio is advised unless you know the impedance of your aerial will benefit from a 4:1 ratio at the frequencies of interest. Our 1:1 Choke/Balun is availabe in either 100w or 400w versions.